My last review, of Jason van Wyk’s work, sounded like it could easily score a film about outer space. 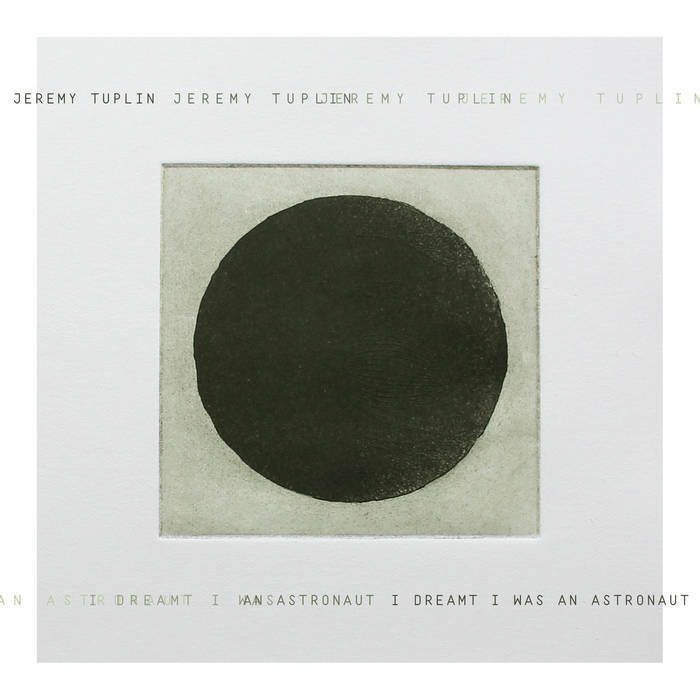 I Dreamt I Was an Astronaut by Jeremy Tuplin one-ups that by actually including songs about outer space and the universe (“Astronaut,” “Albert Einstein Song,” “Robot Love”) and putting an astronaut right there in the title. Beyond the space elements, it is a strong singer/songwriter album that establishes Tuplin’s formidable songwriting and vocal skills. The most compelling component of this music is Tuplin’s baritone voice. His round, compelling tone leads the way through almost every one of these songs. The performances can be heartbreaking (“In Front of Me All This Time”), heartbroken (“Robot Love”), inviting (“Kathleen”), or some of all of that (“Did We Lose the Fight”). He uses vibrato more than I’m used to, but he uses it well; it doesn’t get annoying. Instead, it feels honest and real, like he’s not trying to make his voice something it’s not. The songs that his voice leads through are singer/songwriter tunes that draw on indie influences; “Did We Lose the Fight” reminds me of Once, “Oh Youth” feels like a stripped-down Funeral-era Arcade Fire tune, and “Modern Life / Modern Love” has the earnest pluckiness of a St. Even song. All throughout there’s a wide-open feel that will connect with fans of Gregory Alan Isakov, although the two artists are quite different. But it’s “Albert Einstein Song” that is the highlight here. The thoughtful, probing lyrics are the most memorable of the lot, referencing the titular scientist, physics, the universe, and David Bowie. The carefully developed arrangement of toms, strings, tiny piano, and guitar is both grand and intimate, which is a unique statement. The rest of the songs here are good, but this one is great. It points to impressive things to come, on top of solid things already presented here. I Dreamt I Was An Astronaut is a strong debut album of a singer/songwriter who is clearly developing his own specific voice.